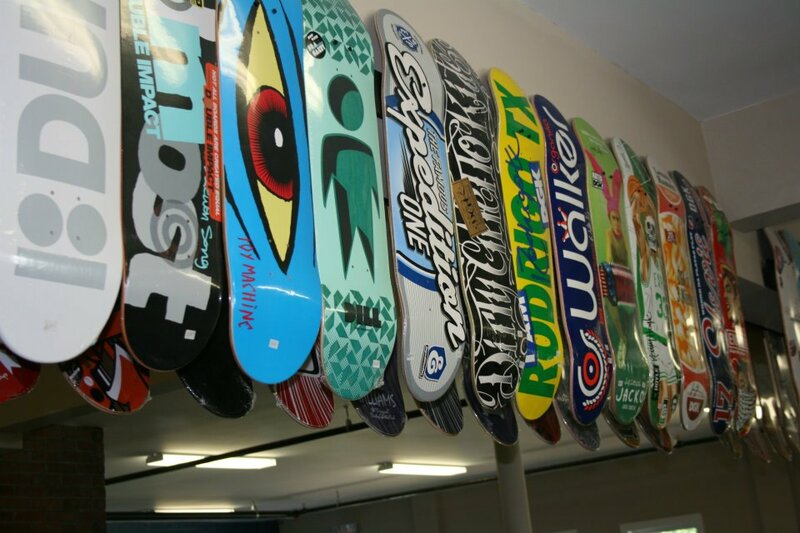 The Skate Shop here at BSC has everything a skater needs and more. From boards, bearings, trucks and wheels to grip gum, shoe goo, skate dice and other accessories, we have you covered at The Park! Break your kingpin, hardware, bearings or bike tube? Need to buy a helmet or want some soft trucks? No worries. We have experienced skaters here to help you find just what you should be riding and beginner completes for those just starting. Find it all here at the BSC Skate Shop!